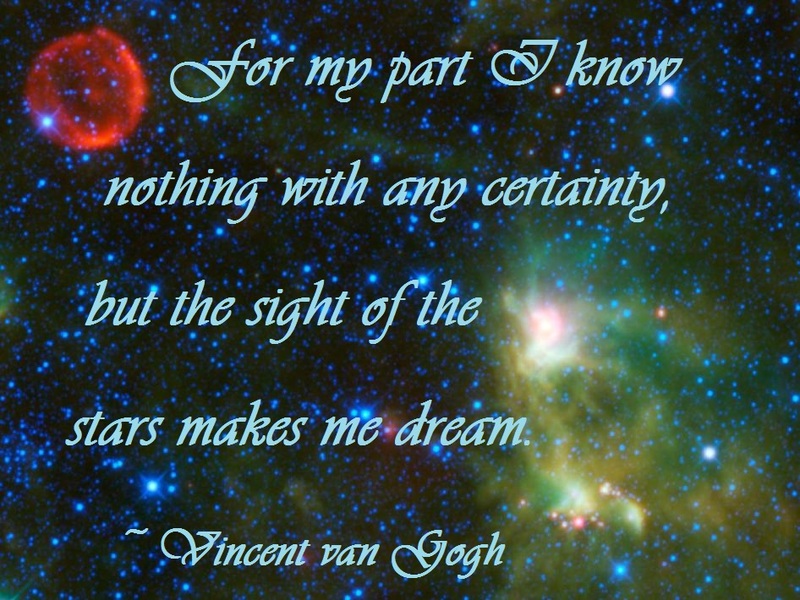 It was February 7th, the day stars tumbled from the sky and graced those who would take notice. A low pressure system was sweeping from the Ohio Valley to southern New England, washing the sky in dusky gray hues. Hesitant flurries were ushering in bands of snow, heralding yet another blizzard. But before Winter Storm Marcus could dump its heavy swath of snow across Connecticut, an extraordinary discovery took place. Sheer crystalline gems alighted on coats, hats, gloves, hair, — whatever concluded their airy descent; ephemeral favors bestowed on the mindful and fortunate few. That was the day my son boarded a plane at Bradley International Airport in Windsor Locks, Connecticut. We were all thanking our lucky stars that his flight took off before the next in the long chain of snowstorms hit the Northeast. My son might have missed his flight if he had paused any longer for the magical moments of star-shaped snowflakes sprinkling all about him. 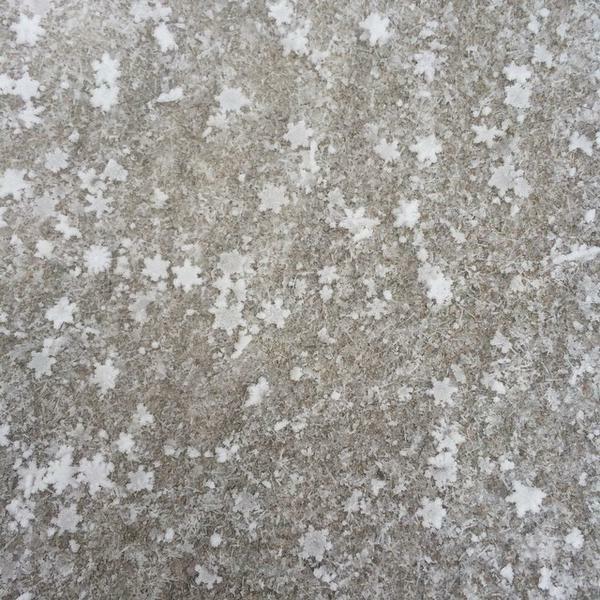 He had just time enough to witness the “starflakes” and snap a photo before they disappeared. 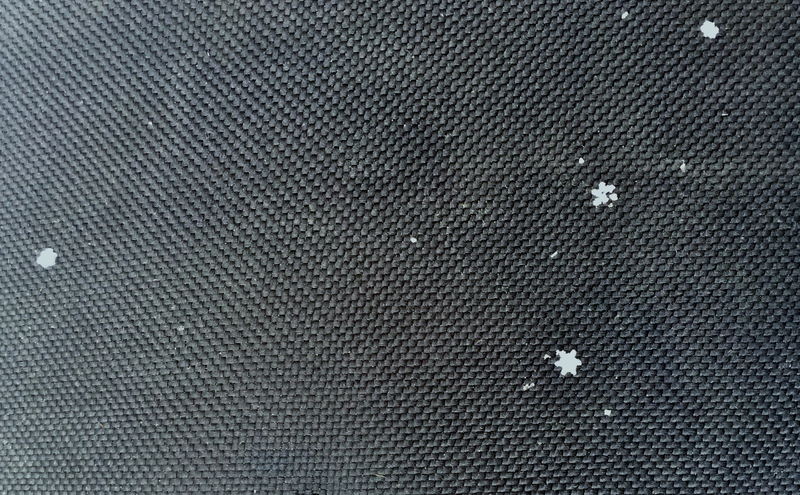 Star snowflakes caught on my son’s suitcase. 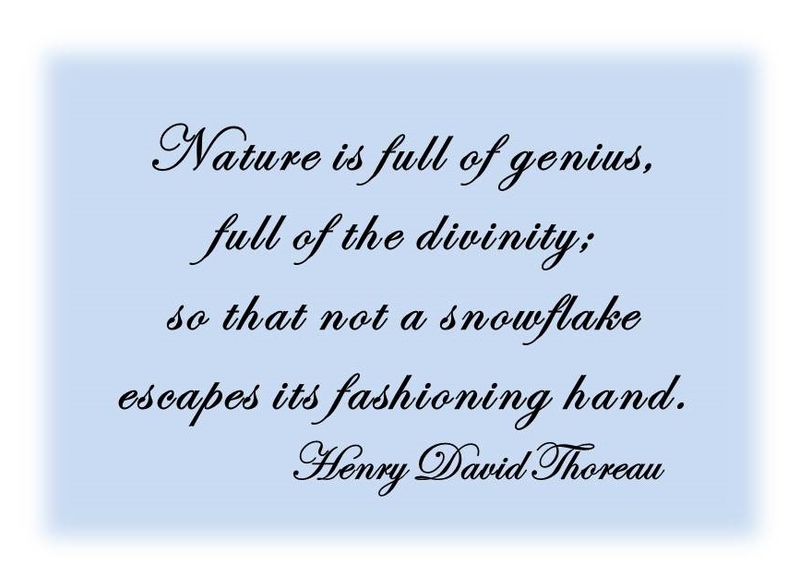 “What about the notion that no two snowflakes are identical? 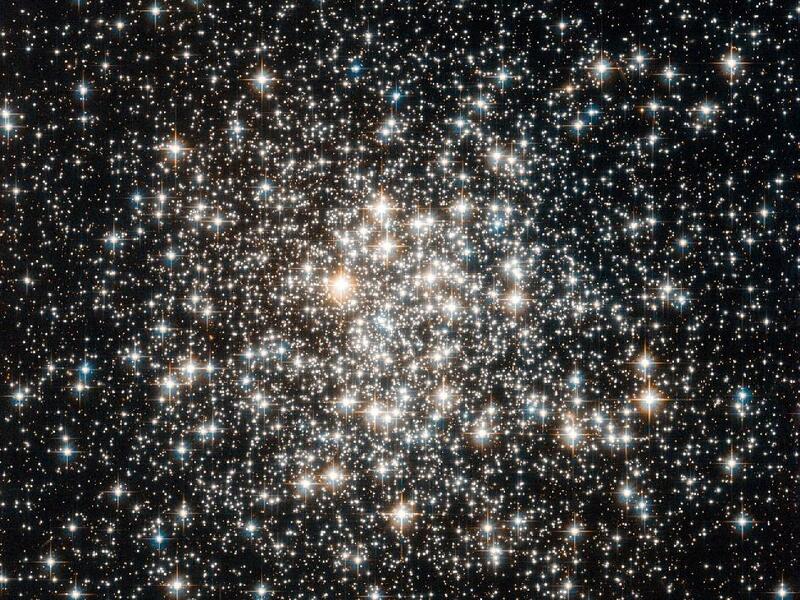 Falling stars?” My son and I considered the curious phenomenon while viewing his star-studded photo; each of us on opposite ends of the North-South compass. 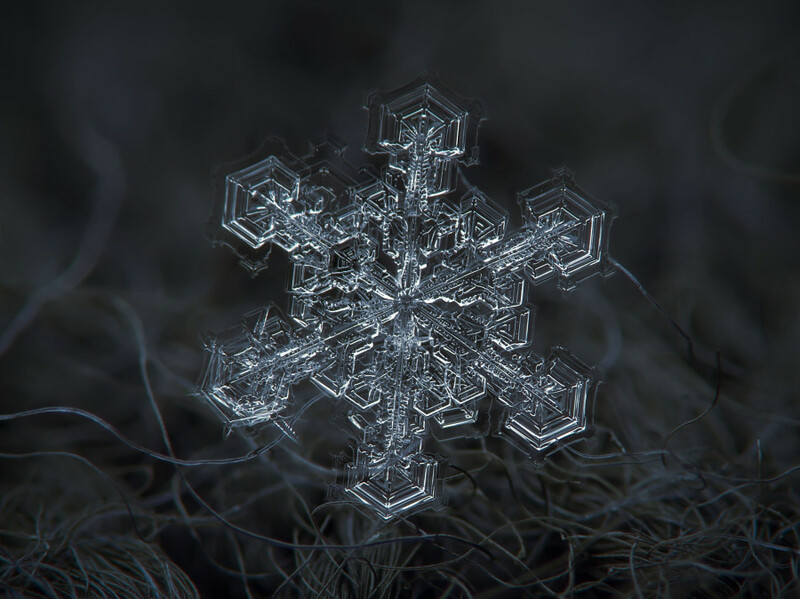 Brooks invited readers to get a close-up view of snowflakes by macrophotographer Alexey Kljatov at http://www.huffingtonpost.com/2013/12/03/alexey-kljatov_n_4373888.html. So, why all this snowflake talk on The Writers’ Loop? What does it have to do with reading and writing? But then, what isn’t reading or writing? 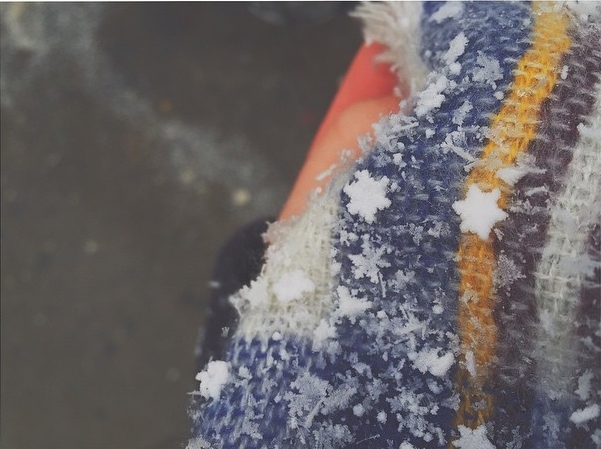 For reading: Throughout and at the end of this post you’ll find several links for more information about star snowflakes, as well as some fun and interesting weather-related information links for adults and children. I’d like to add advice to Gaiman’s comment. When you notice that you’re getting ideas, jot them down on the nearest piece of paper before you forget them. For 35 different types of snowflakes check out: www.snowcrystals.com. Categories: Uncategorized | Tags: authors, Frequency North: The Visiting Writers Series, Huffington Post, Inspiration for writers, National Oceanic and Atmospheric Administration, Neil Gaiman, star-shaped snowflakes, Weather Channel | Permalink.